Enjoy the full print, scan, copy and fax functionality these three colour systems offer to increase your workflow efficiency. Execllent image quality gives your documents an impressive look & feel and reflects the professionality of your business. Outstanding document security is esured thanks to the Toshiba Secure HDD, which protectes your data from unauthorised access. Ease of use can be taken for granted and will help optimise your document workflow. Low power consumption, duplex printing and energy save modes are just a few of the features to support an economical and ecological business environment. Some jobs call for a specialist: With the large numbers of documents processed in most offices, a compact device specialised in A4 can significantly enhance convenience and productivity. To ensure maximum efficiency wherever large volumes of A4 documents are required, Toshiba has designed three stylish multifunctional systems which are fully equipped with e-BRIDGE technology for smooth and easy integration into existing fleets. This gives offices easy access to A4 documents at all times. In size, shape and performance, the e-STUDIO 347cs series fits perfectly into modern offices. 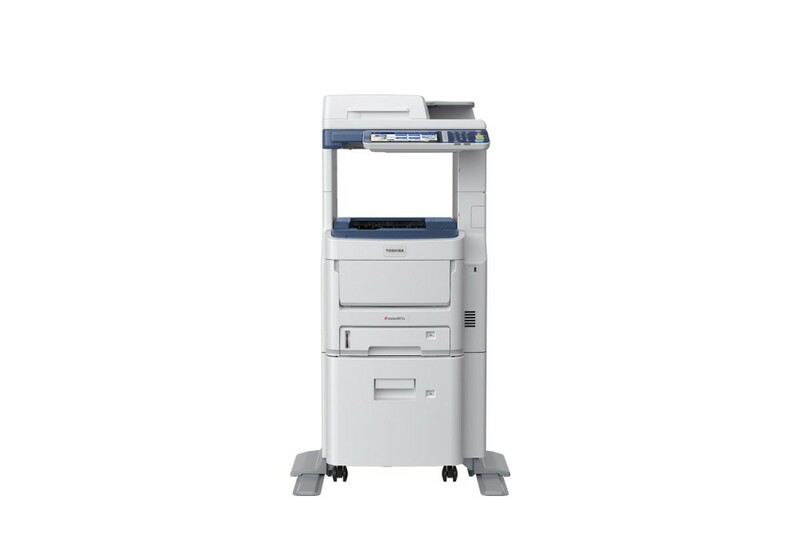 Compact as they are, the three models of this series are loaded with performance – like an effective speed of 28, 34 and 40 pages per minute (ppm) respectfully, useful finishing options and intuitive operation via the large touch screen. By adding up to five additional paper sources such as cassettes or a large capacity feeder, the 347cs can offer a total paper capacity of as many as 3,160 sheets. This enables different users or departments to print on separate colours or letterheads, whithout constantly having to change paper. Therefore, these three models are ideal for departments and workgroups requiring reliable productivity.